The Very BEST E-Liquids & E-Juice Flavors! 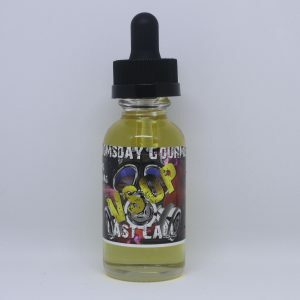 Doomsday Gourmet strives to maintain consistently high standards in our regular and premium e-liquids and e-juices. 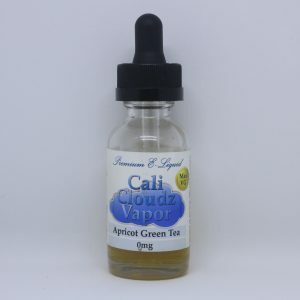 We have a large but not overwhelming selection of unique flavors at an attractive price point starting at $6.99 for 10ml. Check just a few of the over 200 amazing e-liquids and e-juices that are availble now in in stock or Check Out More Here. Join The Army And Get Paid! The army is growing and we've put a referral system in place to reward our customers loyalty spreading the word about Doomsday Gourmet. Yelp , Google and Facebook, too, our customers love us!.. I had a great experience. They have over 200 flavors. Connor answered all my questions and was completely accomadating. I will be back!!! Great juices great prices! come in when it's raining. I'm seriously obsessing over the Circus animals juice. Love this place! I've been coming here for a year now and it's the best shop in town. Seriously I've been EVERYWHERE!!!. ﻿This place is absolutely amazing!! They take their time with you and allow you to try any flavor you want to make sure you like it!! 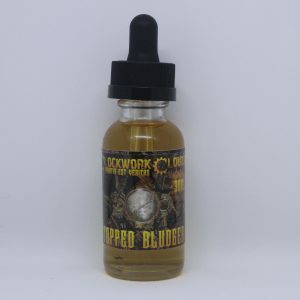 Best vape juice, amazing customer service, just an all around great shop to get your juices from. Thanks Brian! Please note, in order to complete any orders a copy of your photo ID is required. Congratulations - We're glad you've decided to become a member of he Doomsday Army! Before you head over to fill out your registration for the Domesday Gormet Affiliate Program, why not consider joining our mailing list so that you can receive the insider tips and tricks that will give you an extra edge? Take it from us. As an affiliate partner you can expect to earn good commisions but you can increase them dramtically if you have access to the marketing methods that we share with our subsctbers. We provide our list members with the kind of marketing knowledge that can make the difference between being just an affiliate that makes occasional sales to one that makes not only more sales but more sales constantly. Start your partnership off right. Get access to methods that have made Dr. Billows one of Doomsday Gourmet's best and most successful partners!